Preston Singletary is internationally recognised for his bold depictions of birds, animals and humans in the distinctive style of the Pacific North West. 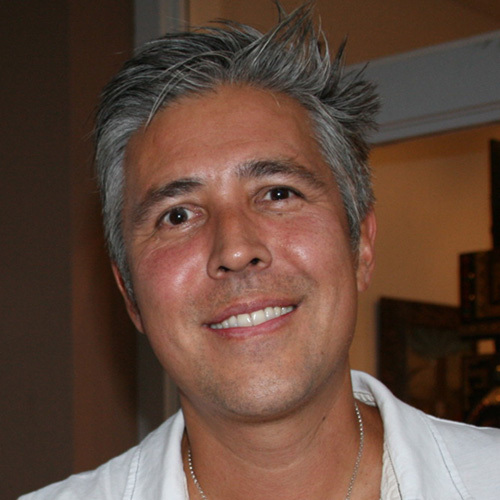 Early on in his artistic career, Singletary translated these designs into extraordinary three dimensional glass sculptures, establishing his reputation as the pioneer of contemporary Native American Indian glass art. Rainmaker Gallery currently carry a selection of his two dimensional, Limited Edition, original serigraph prints. Many of these vivid Fine Art Prints are ultimately destined to be transposed into Singletary’s unique hand-blown, sandblasted glass sculptures. His iconic aesthetic, characterised by undulating lines and emphatic motifs, finds eloquent expression in both art forms. 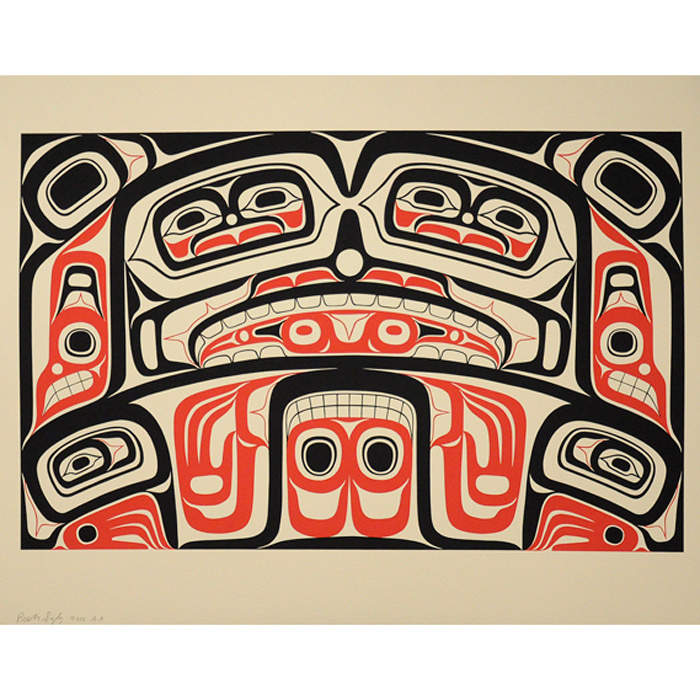 Transformation is a recurring theme in Tlingit mythology, and Singletary’s mesmeric compositions convey the fluid metamorphosis and affinity between human and animal spirits. Singletary’s accomplishments in glass are included in many significant collections, such as at the British Museum, The National Museum of Scotland, and The National Museum of the American Indian (Washington D.C.).